1)Melissa, where were you married? Daniel and I were married at the Cerretti Chapel in Manly in October 2010. The decision to marry at this location was simple, it is the most beautiful chapel I have ever seen and since we are both religious we wanted to be married in a church. 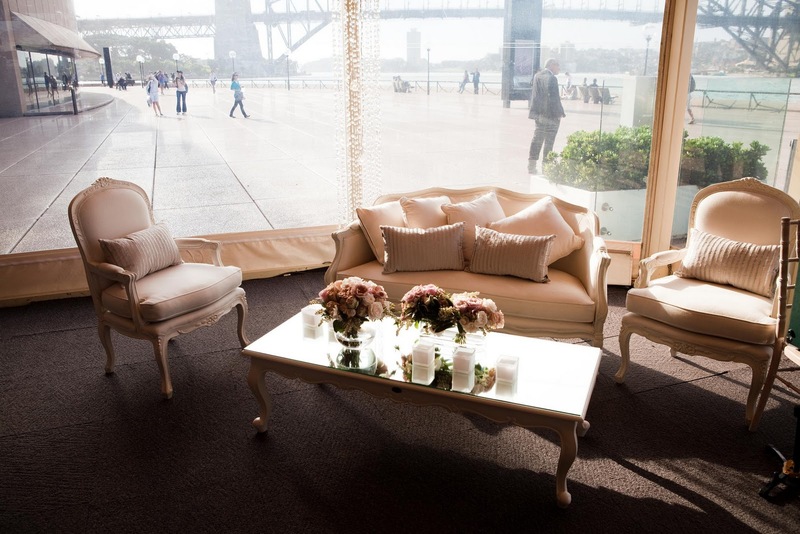 The reception was held at the stunning Opera Point Marquee. 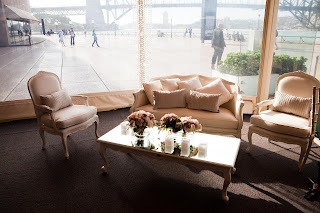 We selected this venue because of its unique and spectacular location. Also this venue offered the most delicious menu which was a real treat for our guests. 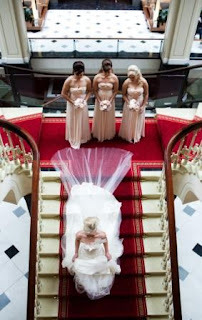 3)Who designed your Bridal gown and bridesmaids dresses? 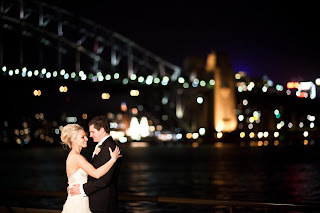 My wedding gown was designed by Pallas Couture in Paddington. “Marjolene is an ethereal corseted gown with French sequined lace which is exclusive to Pallas features a full flowing skirt with tulle overlay and organza ruffle detail. An embellish hair piece was personalised by Pallas to complete Melissa’s look”, said Cathy from Pallas Couture. Once I tried this gown on I could not take the smile off my face, I simply knew it was the one! 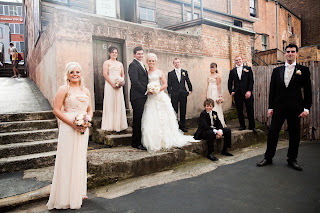 My bridesmaid gowns are from Lisa Ho in Woollahra. I was not shopping for bridesmaids dresses the day I found the gowns but as soon as I saw them I knew they were perfect! My flowers were supplied by Sweet Art. 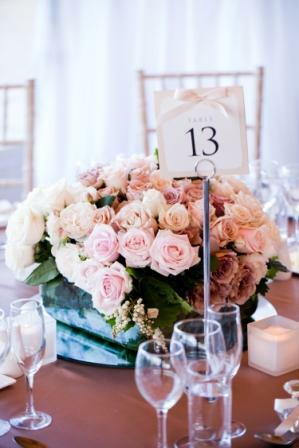 By far the highlight was the suspended rose topiary balls from the ceiling of the marquee and there was an abundance of roses!